Horizontal Range: 22". Vertical Range: 16". Monitor Weight: 7.5 to 29.5 lbs. Comparable to our 7000 monitor arm, innovative 7045 mount features a fixed-position forearm which provides additional vertical reach. 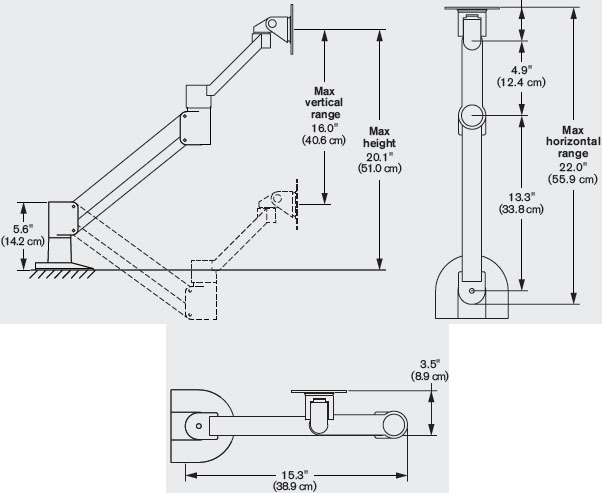 The arm renders the monitor weightless for instant height adjustment. 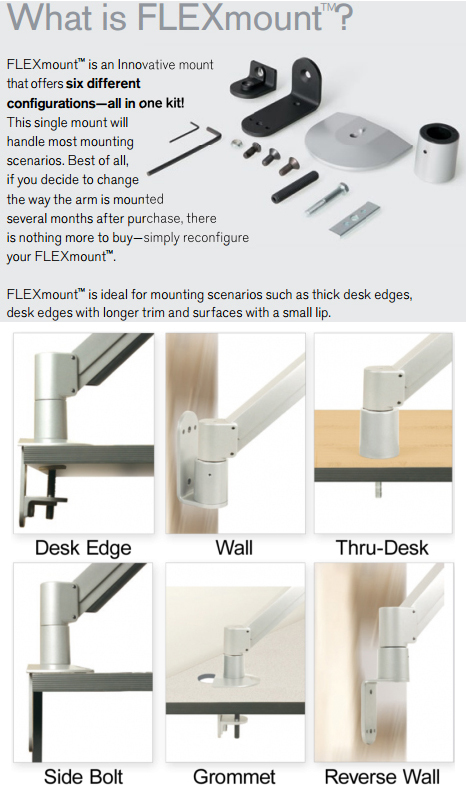 This flexible monitor arm can be folded out of the way when not in use. Comparable to model 7000, the 7045 monitor arm features an angled forearm which provides additional vertical reach for 20"+ monitors.